Unlike other radars, no scanning is required. 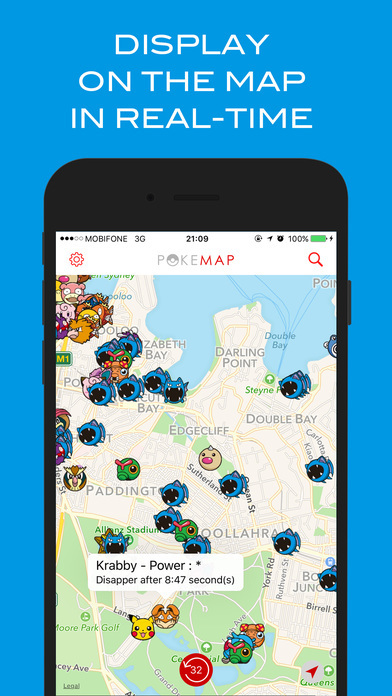 We track the most Pokemon and notify you faster than other radar apps. Long tap anywhere on the map to drop a location marker. After placing a marker, press scan to reveal Pokemon nearby. Yes – as long as the timer has not reached 0, the Pokemon are actually there and in real time.